Even the city’s most avid culture buffs haven’t discovered all the marvelous museums  in Paris. Case in point: the Pavillon de l’eau , which we recently visited in the 16th arrondissement  of Paris. Every day in Paris, we consume 455,000 m3 of drinking water which is treated by Eau de Paris before being sent to the taps. 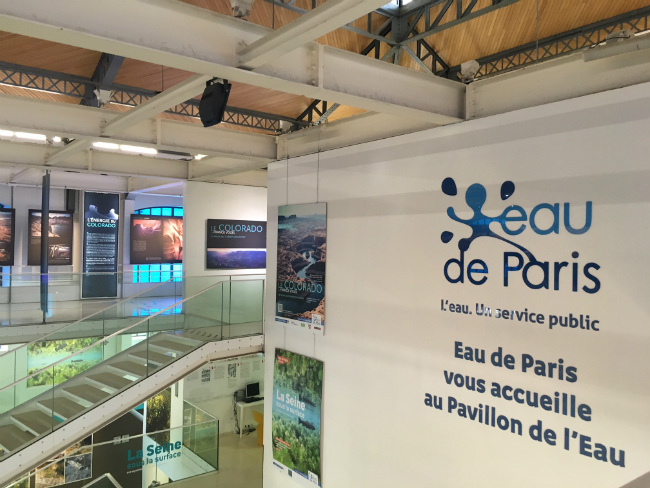 Housed inside a former water treatment facility built in 1900, the Pavillon de l’eau is a cool, contemporary space with an interesting permanent exhibition on water in Paris. 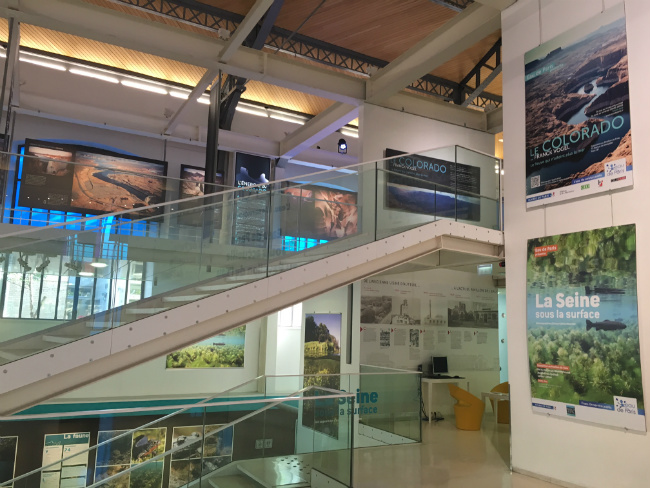 The Pavillon de l’eau also stages fantastic temporary art exhibitions, like the current, thought-provoking photography expo entitled, “The Colorado: The River which no longer reaches the sea” by Franck Vogel , an outstanding photo-journalist for publications like Geo, Paris Match, and Le Monde Diplomatique. 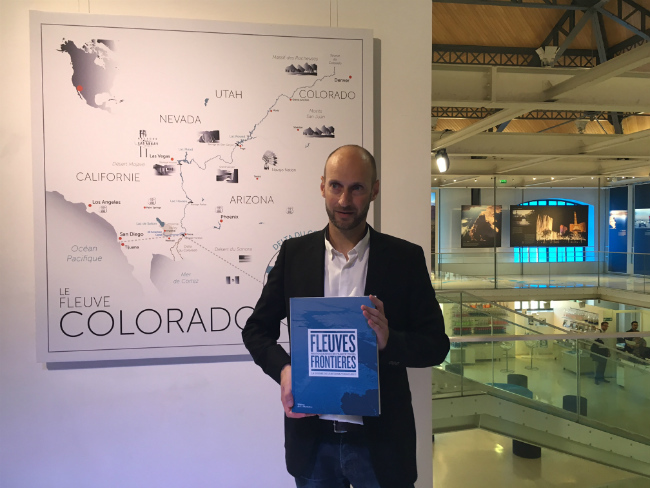 Since 2012, he has focused on global transboundary water conflicts, and the resulting research on four iconic rivers—the Nile, the Jordan, the Brahmaputra and the Colorado—has been published in the newly released book Fleuves Frontières. 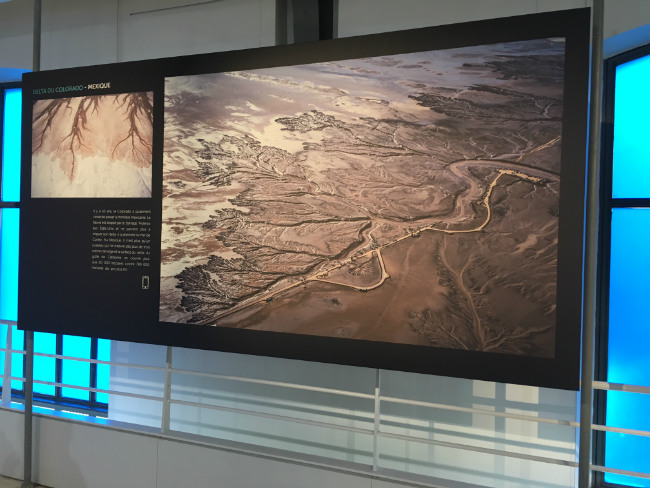 “It took 40 million rivers for the Colorado River to create the Grand Canyon,” posits the exhibition, and now “water levels at Lakes Mead and Powell are dropping dangerously and the Colorado Delta is completely dried out.” Discover the complex causes behind this disaster at this exhibition right next to the Seine in Paris. Pavillon de L’eau, 77 avenue de Versailles, 16th. Open Monday- Friday from 10 am to 6 pm. Free entrance. Exhibition until December 30, 2016. Tip: The gift shop offers nifty carafes, with the Paris Water logo, which make nice gifts. The Pavillon—equipped with an auditorium and luminous receptions spaces– can be rented in its entirety for events.